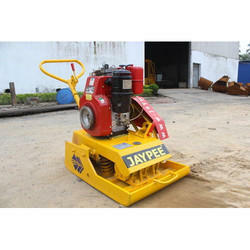 Providing you the best range of plate compactor, walk behind double drum vibratory roller, earth compactor, earth rammer, soil compactor and vibrating machines with effective & timely delivery. 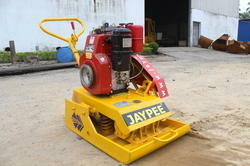 Crompton greaves electric motor Powered: 5 H.P. 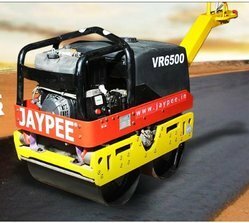 Jaypee Walk Behind Double Drum Vibratory Roller is modern compact design for use in a wide range of compaction application. 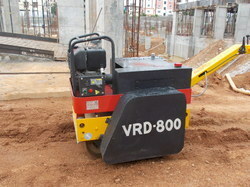 Hydraulic with integrated travel control eases the operating effort required for movement. 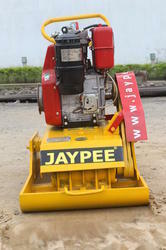 The famous Jaypee Walk Behind Roller has the vibratory source located in the drum which provides maximum compaction and traction performance. 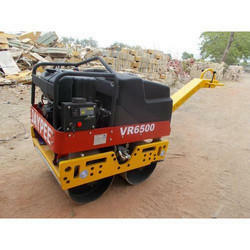 The VR6500 is suitable for operation on various types of soils in tropical conditions.